Make sure you’re healthy. If you are able to use the telephone, call 911 for help. If necessary, go to the emergency room. If not, make an appointment with your doctor to get checked out and treat any injuries. If you are injured and do not have a doctor or do not have health insurance, contact an attorney. An attorney may be able to help you find a doctor who will agree to provide treatment and wait to be paid from a settlement. Exchange identification, contact information, and insurance information with the other party. If possible, attempt to locate any witnesses to the accident and obtain their names and contact information. If Possible, take pictures of the scene and obtain any other evidence available. If the police respond in a timely fashion, they may do much of this for you. Cooperate with any police investigation and make sure the police know what really happened. If you have located any witnesses, provide the police with their information. Document your injuries and expenses, including bills, receipts, and lost time from work as a result of the accident. Talk to a lawyer as soon as possible. If you cannot do this due to your injuries, have someone else do it for you. Most lawyers will not charge you for an initial consultation. This will allow you to determine whether you have a claim and what you should do next. Follow your lawyer’s advice. Keep this Arizona Accident Checklist in your car. We hope you never have to use it, but it’s best to be prepared. 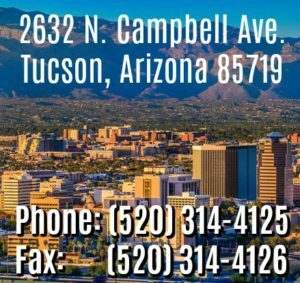 If you are in an accident and have suffered injuries, call our Tucson office at 520-314-4125 for a free evaluation of your case by a qualified Tucson accident lawyer or contact us online.